This pair of 22" T hinges is a Rustic design with a penny round end. For use on heavy full size boarded external doors. It has been designed for doors over 2ft 9" wide i.e. 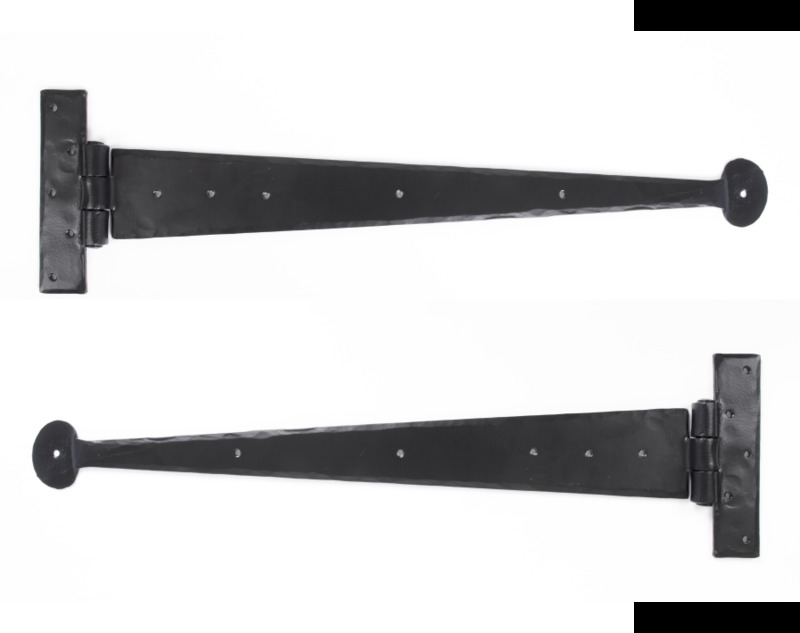 double boarded doors or framed ledge and braced 45mm thick.Sold in pairs and supplied with necessary fixing screws. These T hinges are hot forged ie drawn to shape, not welded or fabricated.The hinge knuckle is fashioned in the traditional way and is very strong.